There she goes, skipping along to Grandmother's house, minding her own business. She’s carrying a basket and basking in the fresh air. Look at the flowers blooming, and behold! Apples in the trees! Your little one is always taken by the wonder of nature, so it’s a good thing she’s a bit more street smart that Little Red once was. 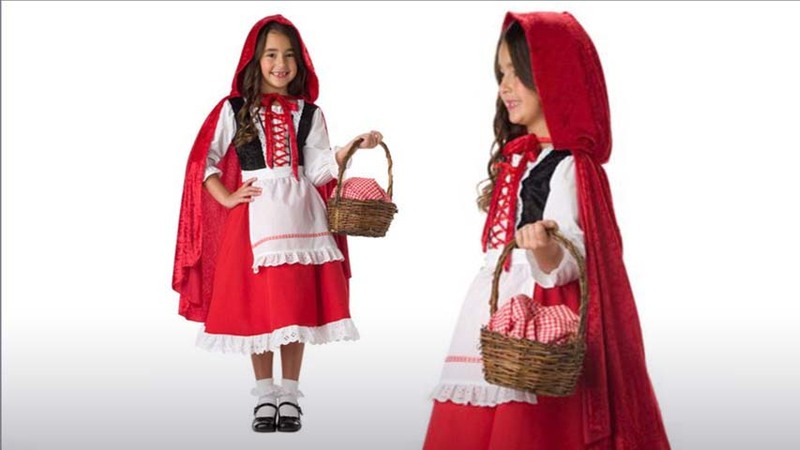 In this Traditional Little Red Riding Hood Girls Costume, your little darling can live out one of her favorite stories in pure, classic style. Of course, she’s still the daughter you raised: keen, aware, tough, and a black belt in karate. She’s also trained in Krav Maga, so you probably don’t need to worry about her too much. 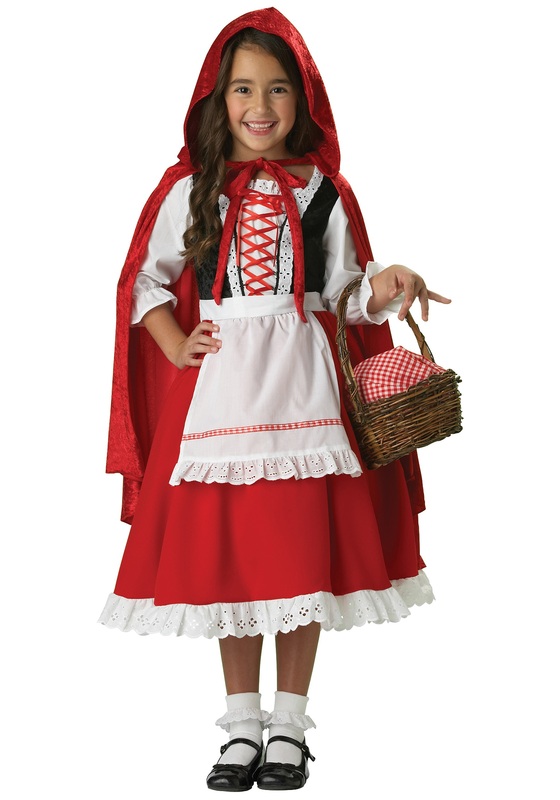 You can relax knowing that even dressed as one of literature’s most infamous innocents, your own Riding Hood is a totally capable maven of the forest. When she returns home from Grandmother’s, you may be keen to press her for the details. Where did you go? Did anyone talk to you? Notice any...unusually friendly, feral canines? But we urge you, just be cool. She may look like the helpless heroine from the classic fairytale in her dress, apron, petticoat, and hooded cape, but we know somewhere deep in the woods, that wolf is lying in a heap, in a world of hurt, wishing he’d just minded his own business.